Silver poisoning just might be the worst possible way to meet your mate, but that doesn't matter. Dante is Cory's new alpha, for as long as Cory can keep him alive...It's war. In a dangerous world where shifter battles the military, a newly-mated pai, a newly-mated pair of wolves must face their joint fate together, even while fate conspires to separate them. While danger reigns around Dante and his inexperienced omega, the draw of heat is impossible for any fated mates to resist. But Dante is the key to infiltrating the military faction that threatens all of shifter kind, and a soon pregnant Cory must do his best to help from afar. Will their efforts be enough to secure a safe future for their growing wolf pup? The Untouched Omega is a MM mpreg story, and it features explicit scenes, fated mates, and love conquering all. It can be read as a standalone, though the characters featured in it do appear in other Alex DuBois books. “He didn’t even know this man’s name, yet everything in him yearned to be taken, claimed, completely dominated.”Desperate for some quick cash, Cal, a starving artist Omega, takes a gig helping his sister prepare for a fancy cocktail party. But when hail party. But when he unexpectedly goes into heat, Cal is hunted down, marked, and knotted by the hottest Alpha there! 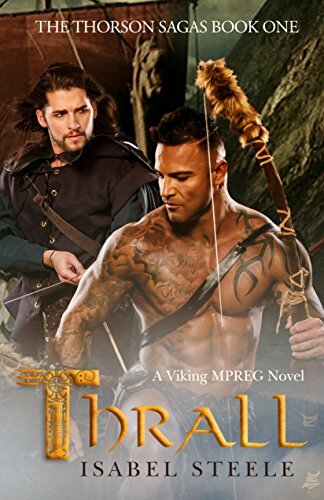 A Viking Warrior vows to protect his pregnant omega.Halvard is a renowned alpha viking. He lives for war, but in the midst of a raid, he finds a slave. In an instant, he knows he's found his mate. A man who heats his blood hotter than any battle. An otter than any battle. Can Caleb and Johannes keep their unborn baby safe as special forces are determined to destroy them all?Caleb Halle was never one for the club scene, but after a recent break up with his long term girlfriend he decided to check out a new gay club. Th a new gay club. There he meets a gorgeous man by the name of Johannes Almstead, a former member of the Danish Forces turned CEO. Intrigue turns into infatuation as they spend a steamy night together. Bliss will be short lived as one secret is revealed after another. Is Caleb ready for the new world that Johannes has pulled him into? And can their relationship last when everyone and everything is trying to pull them apart? Author Note: This 8,000 word standalone romance includes additional collections as a bonus, male pregnancy and a HEA. Not appropriate for readers under 18. For most of his adult life Jamie Matthews was an Alpha. But when his Army unit was captured by the Amity Brethren and he was experimented on, he became an Omega. After struggling to find his way, Jamie is finally happy with his mate, Max Gaines and back home in Lyons, Colorado. However, the Amity Brethren isn’t done with Jamie and everyone and everything is suspect when the enemy sets its sights on Jamie’s unborn baby. He knows best…For nineteen years all Chuey needed to worry about was survival. Now that he’s safe, rescued from the jungles by his adoptive father, Logan, he can start discovering who he is and what he wants. What he wants is Ryder, the leader of an , the leader of an allied pack of wolf hybrid shifters. But Logan wants Chuey to have nothing to do with the older biker. He does all he can to keep them apart, including threatening the fragile friendship between the packs. Ryder has made his fair share of enemies while leading his ragtag group of shifters. He’s made some allies too. That’s why when he senses that the son of one of his allies is his mate, he isn’t jumping for joy. The opposite. Chuey is new to the bear shifters and new to civilization in general. He doesn’t need an older man like Ryder handing him more problems. Especially a man who doesn’t only want Chuey to be his mate, but to be his boy as well. Meanwhile, Ryder’s fiercest enemy of the moment, Marcos, is revving up an old feud. The world may be big, but their area of the world is small and Marcos doesn’t like Ryder’s pack encroaching on their territory. He uses the only tool he knows, violence, and when that violence reaches the feet of Ryder’s boy, Ryder decides it is time to end this feud for good. Under His Care is the first book in the Hybrid Heat series. It features a May/Dec relationship, themes of dominance, light age play and a whole lot of steamy moments! 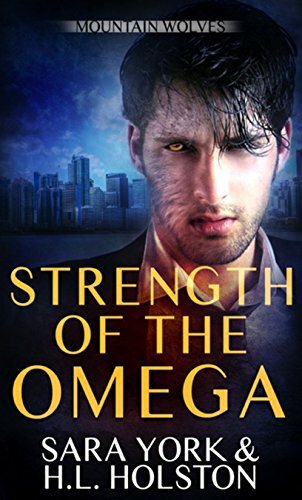 MPREG WOLF SHIFTE SHORT STORIES Having lost his intended mate in an accident years ago, werewolf alpha Kane has been slow to consider another chance at love. With his business struggling, his pack going hungry, and a rival pack pressing in on them, hand a rival pack pressing in on them, he may not need to worry about it--choosing a mate from the rival pack will set tensions at ease. A complication comes in the form of a beautiful younger man Kane is immediately drawn to, who he soon realises is his true mate, and who has fallen pregnant with his child. With an important merger and all-out war with the rival pack on the line, Kane must make choices that secure the future of his mate, his pack, and his unborn child--choices that are not as they first seemed.